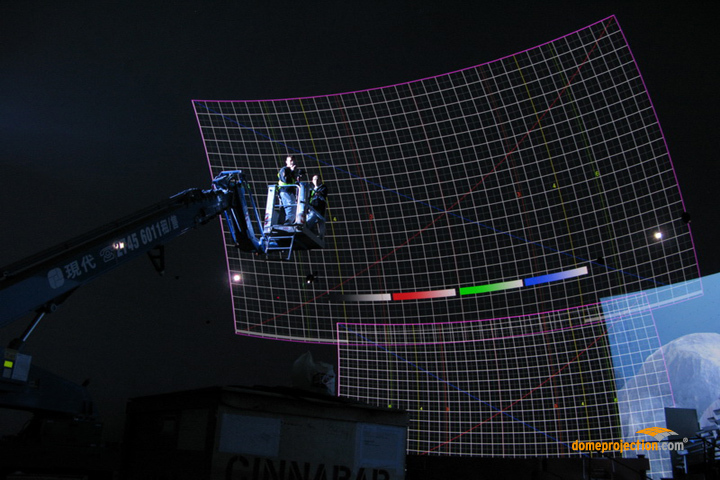 domeprojection.com® has long-time experience in calibration of hundreds of highly complex multi-channel projections on arbitrary screens. We are pleased to offer you our time- and cost-efficient calibration service. We are planning and implementing the auto-alignment system for your specific project as well as provide the complete installation and initial calibration. Finally, we will provide automatisation of the complete system for easy operation by maintenance personnel. 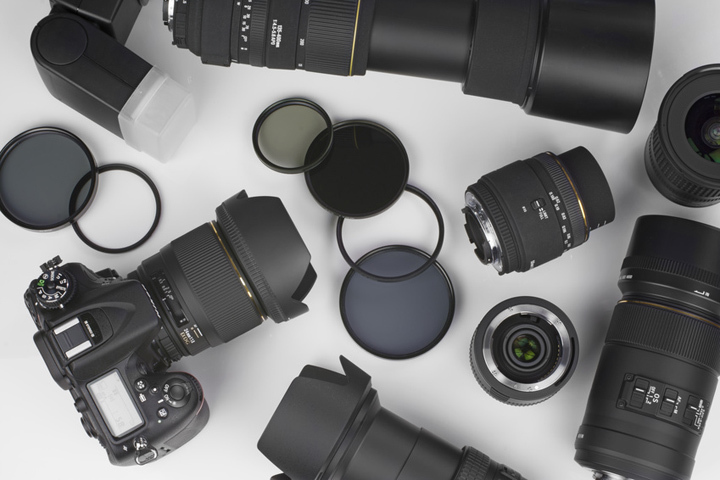 When only calibration as a service is required we will bring our entire camera equipment and dedicated hi-end measuring technology for calibration. 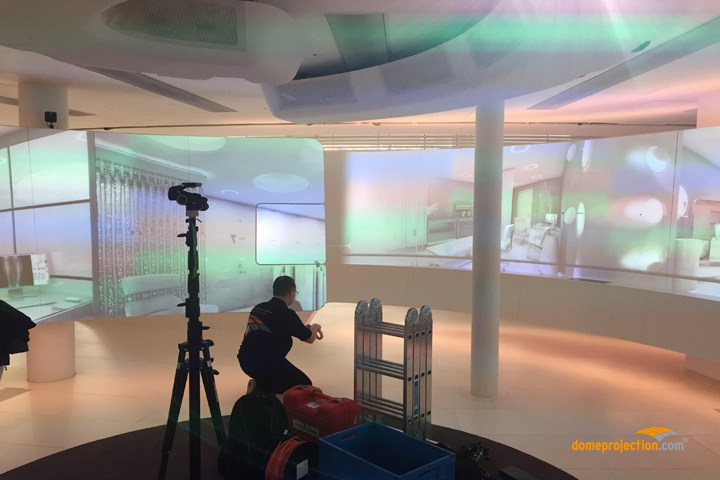 If specific interfaces or exporters are necessary for your projection, our developer team will be able to integrate these quickly and easily into our ProjectionTools software. Of course, after system calibration we will still be available for you by our support system. The purpose of domeprojection.com® is to deliver the best projection quality and to ensure the highest precision of our calibration. Thus, we use only calibrated cameras for measurement of projection screens to enhance the accuracy of the overall calibration for our quality-aware customers. By employing a complex calibration process, both the chip geometry of the camera and the distortion of the dedicated lens is measured. The resulting data is saved and directly included into the calibration project. 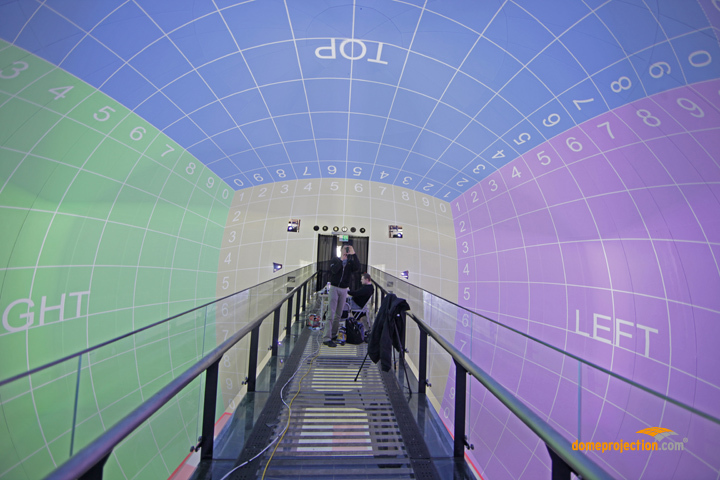 Only using calibrated cameras and lenses will improve the quality of the projection system calibration by excluding measurement errors from the hardware. 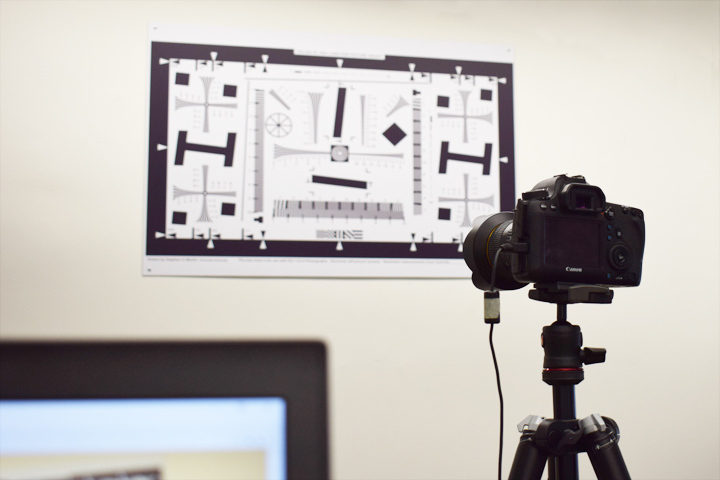 In our professional calibration lab, cameras will be calibrated to be used for different distances. You will receive a parameter file with the distortion coefficients, the focal length as well as the values of the chip geometry correction. 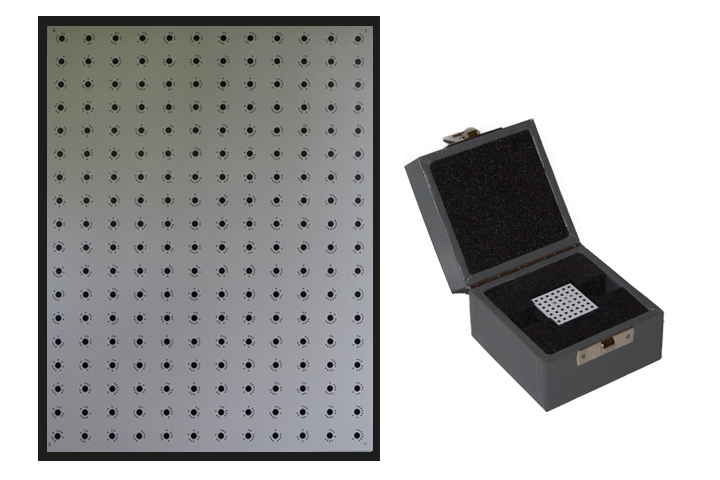 Calibration panels are necessary as a precision reference source when calibrating visual systems. The size and accuracy of these panels depend on the size of the measured space. The specialists of domeprojection.com® will individually design and manufacture this measurement standard for each customer. According to your requirements regarding the size and measurement accuracy, the calibration panels are tested and measured or photogrammetrically determined based on highly precise certified coordinate measurement technique. Of course, you will receive a certificate for each reference panel we prepare for you.